DblHlx1: Short Double Helix titanium Earrings with free-swinging center twist. 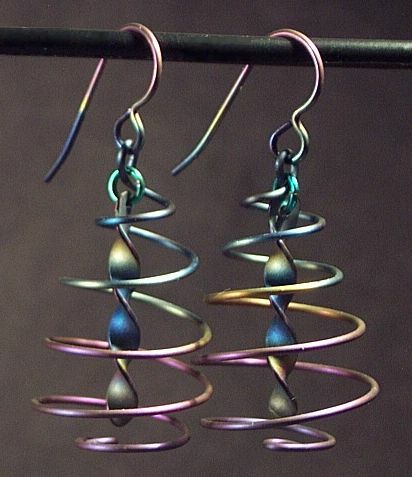 This is a very popular design: Helix and ear hook colors may vary. Just ask if you want particular colors.